Dr. R.C. 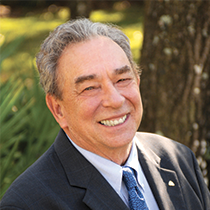 Sproul does a study on suffering by looking at what the Bible says about heaven. “Behold, the dwelling place of God is with man. … He will wipe away every tear from their eyes, and death shall be no more, neither shall there be mourning nor crying nor pain” (Rev. 21:3–4). 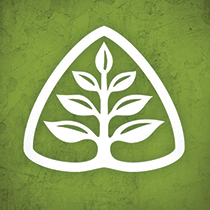 Today we will study suffering by looking at what the Bible says about heaven. Our passage for today concerns the new heaven and the new earth that will arrive at the consummation of all things. Thus we will be concerned primarily with the final form of God’s created order. The Scriptures do affirm that those who die before the return of Christ go to be with the Lord (2 Cor. 5:6–8). This dwelling with the Lord is typically called “the intermediate state” in systematic theology because it comes between our life on this earth and the final form of creation that comes only after the consummation. The Bible actually has little to say about the intermediate state, although we can expect that it approximates the final state described in today’s passage. Though we know that we go to be with Jesus when we die, it is the new heaven and the new earth to which we should most look forward. At that point, the world as we know it will end and the effects of sin will be removed from creation. No longer will there be a separation experienced between the physical and the spiritual. Rather, as Revelation 21 tells us, God will dwell permanently with His people. Certain effects of redemption will be applied to creation, for we will have not only a new heaven but also a new earth (v. 1). In the new heaven and the new earth, there will be no more tears. God Himself will wipe them all away. Moreover, there will be nothing left to make us sad. There will be no death and all of the former things that cause mourning will have passed away (vv. 2–4). We will dwell in the New Jerusalem. The numbers and other imagery given to describe this place are probably metaphorical, as is the case in apocalyptic literature. Nevertheless, what they tell us is clear. Our final home will be beautiful and immense (vv. 9–21). Finally, at the consummation we will dwell in the brightest light imaginable — the light of God’s glory. When Jesus comes back to bring in this final state, He will be our lamp and we shall gaze on His countenance and rejoice in His radiance forever (vv. 22–27). In Romans 8:18, the apostle Paul tells us that “the sufferings of the present time are not worth comparing with the glory that is to be revealed to us.” Only when we take an eternal perspective can we be confident that the pain of our present sufferings will be crushed by the joys of heaven. Are you looking forward to heaven? Are you looking forward to the return of Christ? Ask the Lord to enable you to endure your suffering as you long for the Lord’s return. Do you have a Cockeyed View of Hell? Does God Use Sickness As a Discipline?